When taken correctly and under the supervision of a doctor, there is little risk of a Vyvanse overdose. However, when the drug is being abused, or the patient is not being honest with their doctor, you can overdose on Vyvanse. Here is what users should know about taking too much Vyvanse. What Are The Dangers Of Overdosing? What Are The Signs And Symptoms Of Vyvanse Overdose? 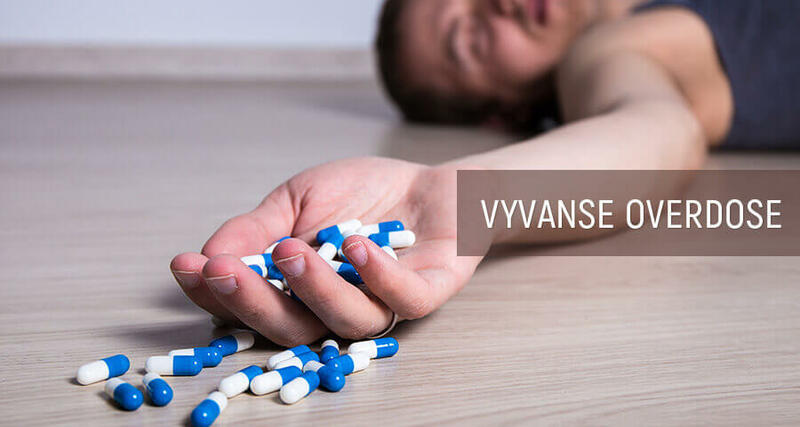 What Is Vyvanse Overdose Deaths Statistics? What Are Risk Factors And At-Risk Groups? How Can You Get Help With Vyvanse Overdose? How Can You Prevent Vyvanse Overdose? What Is The Recovery From Vyvanse Overdose? When someone is engaging in Vyvanse abuse, they don’t always consider the potential consequences. Even when they know there is a risk of Vyvanse overdose, they tend to assume that either it will not happen to them, or that if it does, they will get professional medical help. The greatest consequence associated with overdose is death. Yet even when the patient survives their drug overload, other long-term effects can prove devastating. Hypoxic brain injuries caused by overdosing can result in a permanent mental decline and reduced physical function. Depending on how the body reacts to overdosing and if other substances are involved, the overdose could also permanently damage the various systems of the body, such as the cardiovascular system and digestive tract. While it is common for those abusing the drug to tell themselves they know how to avoid overdosing, the truth is that how much Vyvanse needed to overdose can change day to day based on a variety of factors, including if the medication is actually counterfeit, which can happen when purchasing Vyvanse online. Anyone who is using the drug incorrectly or without medical supervision is at risk. Chest pain: This may be minor or so severe that the user believes they are having a heart attack. Cardiovascular Irregularities: Stimulants task the heart, causing things such as rapid pulse and high blood pressure, potentially leading to stroke. Spasms: Stimulants flood the body with energy, and when taking enough lisdexamfetamine dimesylate to overload the system, that excess energy can cause the body to convulse and seize. Hyperthermia: This occurs when the temperature of the body becomes too high. As it overheats, severe sweating begins, and if not treated, the heating can result in permanent brain damage. Abnormal Breathing: As the oxygen levels in the blood drop, the body may start rapid breathing to try to combat the carbon dioxide in the blood, causing the user to hyperventilate and pass out. Nausea and Vomiting: Due to the various other symptoms of lisdexamfetamine dimesylate overload, as well as the body attempting to cleanse itself, nausea and vomiting are common signs of a Vyvanse dose being too high. It is important that patients and doctors never exceed the use recommended by the Vyvanse dosage chart. Vyvanse can kill you if too much is taken while chasing the Vyvanse 70 mg high. There is not a significant amount of information available on lisdexamfetamine dimesylate overdoses, but there is on toxicity from amphetamines in general and ADHD medications in particular. Poison Control in the United States counts about 17,000 cases of toxic-level exposure to ADHD medication every year. However, the CDC counts this rate as being much lower, at under 200 instances a year. No matter how prevalent it is for people to consume toxic levels of ADHD medication, the fact remains it does occur. Overdose rates from the use of amphetamines and psychostimulants are much higher. 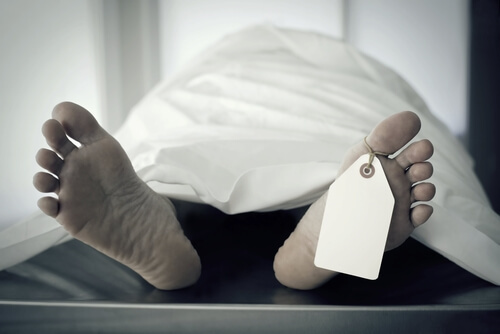 10,000 Americans died from their use in 2017, which was more than a 33 percent increase over the previous year. It is estimated that these death rates will continue to rise. 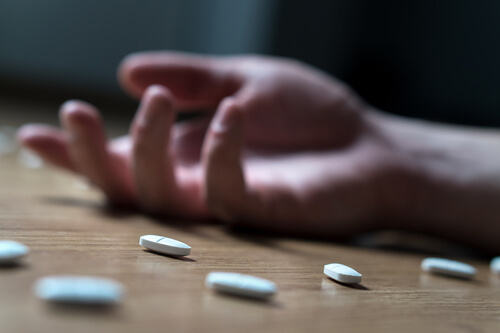 While how much Vyvanse is fatal can vary from person to person, the fact remains that when more is taken than prescribed, it can result in death. Not everyone who takes the medication is at risk of a lisdexamfetamine dimesylate overload. Those who are legally prescribed the medication, take it as directed by their doctor, and are honest with their doctor about all other substances and prescription medications they are using are unlikely to reach the Vyvanse overdose amount. The above-mentioned populations have a higher risk of overdose since their bodies are less likely to process the medication well. However, the population at the greatest risk are those who engage in polysubstance abuse. 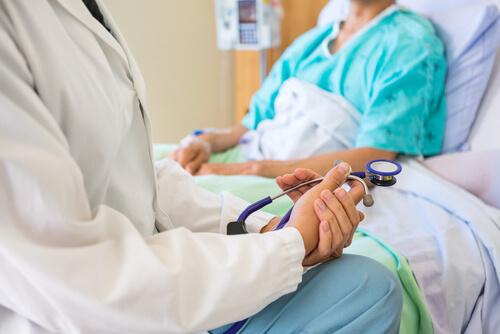 While overdosing on lisdexamfetamine dimesylate alone is difficult, once it is combined with alcohol and other drugs, the dose needed to trigger fatal responses in the body is much lower, and the risk of deadly drug interactions is much higher. Drinking on Vyvanse is never recommended. It is always cheaper to start recovery in a rehabilitation facility than manage the overdose symptoms. Anyone who develops tolerance to lisdexamfetamine dimesylate is also more likely to overload their body. This is because they may feel the need to increase their dose to achieve the same effects they previously experienced and they may experience the Vyvanse comedown more forcefully. The moment any lisdexamfetamine dimesylate overdose signs are observed, help should be sought. Even if the person does not think they took enough Vyvanse capsules to trigger overdosing symptoms, there is a chance that they are experiencing toxic effects anyhow. Remember, how much is too much Vyvanse varies widely. One needs to go to the nearest emergency room. There, the patient will have the best chance of having the effects of the overload reversed before they can become permanent or fatal. Once they are treated and released, it is important that the patient seeks help for their problematic use of lisdexamfetamine dimesylate. The easiest way to get started is calling a hotline to learn about the options. Choose further treatment. From there they can look into inpatient and outpatient options that meet their needs and select the one that feels best. Preventing a Vyvanse overdose comes down to taking the medication correctly and only under the supervision of a doctor. This means not taking the medication without a legal prescription, only taking the doses prescribed at the recommended times, and taking care never to consume too much Vyvanse. It is also critical that the patient is honest with their doctor about any other medications they are taking or substances they are using. Many overdoses are caused by polysubstance abuse, allowing for fatal reactions at lower doses. When the doctor inquires about what else the patient uses, they must be honest. If symptoms of Vyvanse abuse are noticed, loved ones should encourage the user to seek rehabilitation treatment. The immediate treatment for lisdexamfetamine dimesylate overdose will come in the emergency room. There, the medical staff will work to clear the toxins from the body, combat the negative symptoms, and stabilize the patient. This can be done through the use of activated charcoal, saline IVs, and medications. In many cases, hospitals will discharge patients once they are stable, even if they are still dealing with some effects. Patients who are still having symptoms can benefit from an inpatient rehabilitation program. There, the facility can damage detox and withdrawal, then move the user into therapies meant to help them battle their addiction and remain clean. The process of recovering from a Vyvanse overdose is complicated. If the user is addicted to lisdexamfetamine dimesylate, they will begin experiencing withdrawal symptoms at the same time they are fighting back from the event. Because the symptoms, including Vyvanse weight loss, muscle twitches, and delayed motor response, are unpleasant, they increase the likelihood that the person will relapse, making the chances of Vyvanse death even greater. It is imperative that the user seek help during the withdrawal phase. Anyone who has experienced a Vyvanse overdose should seek rehabilitation treatment. There, they can develop the skills and strategies needed to get and remain clean. A better life is possible with the right help.